Saṅghajīvulu : navala / racana Isukapalli Lakṣmīnarasiṃhaśāstri. Vijayavāḍa : Viśālāndhra Pracuraṇālayaṃ, . From the University of Chicago Library. 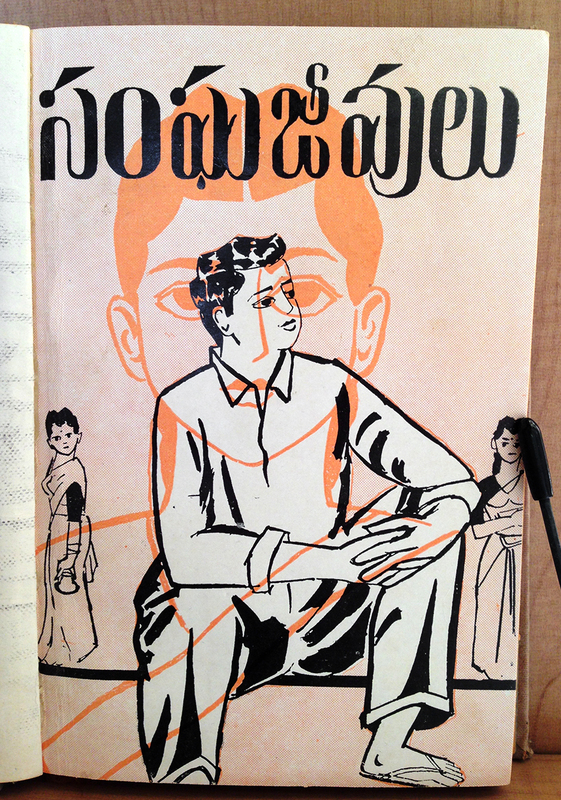 సంఘజీవులు Sanghajeevulu (Google translates this as: ‘Social Creatures’), a Telugu novel by Isukapalli Lakshmi Narasimha Sastry. Now this is some odd “modern” Telugu! The high-contrast, very upright, very constructed style looks so weird to me! Some strange details in here… the tick marks of స and ఘ resemble rotated exclamation ! marks – harking back to the handwritten form (which might loop at the bottom) – and the ” ు” shapes of ఘ and వు have that little stroke that extends into the counter… but the లు is not treated similarly. Interesting!